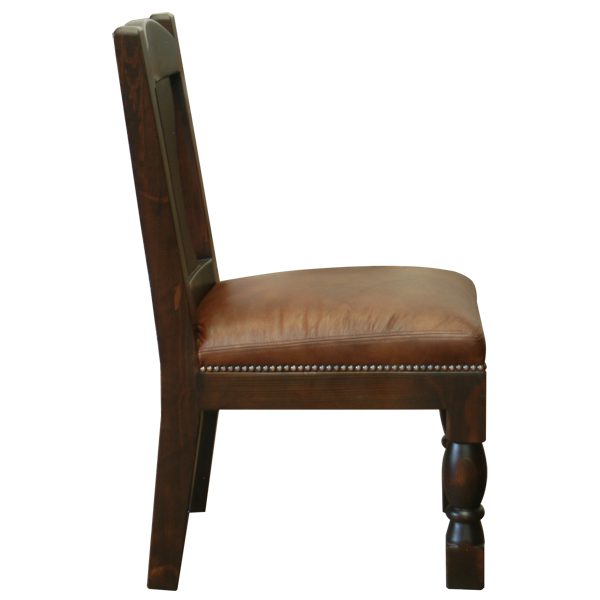 This handcrafted chair is perfectly suited as an elegant dining chair. Made without armrest, you and your guest can easily enter and leave the chair. 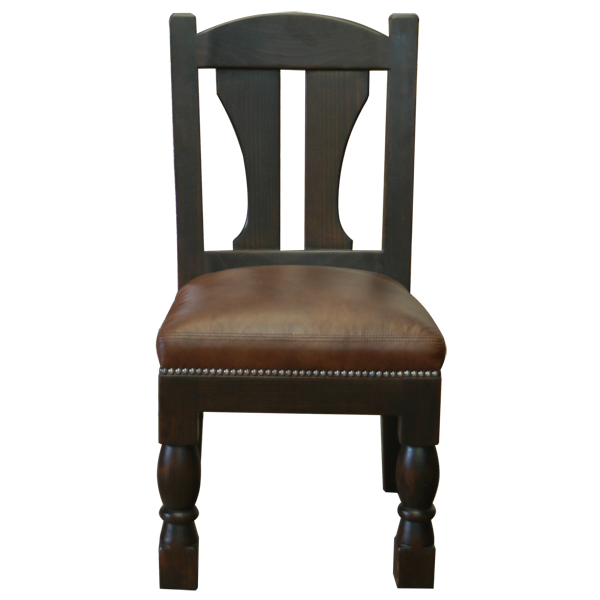 This lovely chair will bring a refined look to your dining room. The seat back has a curved top rail with a double shaped splat, centered between gently splayed uprights. 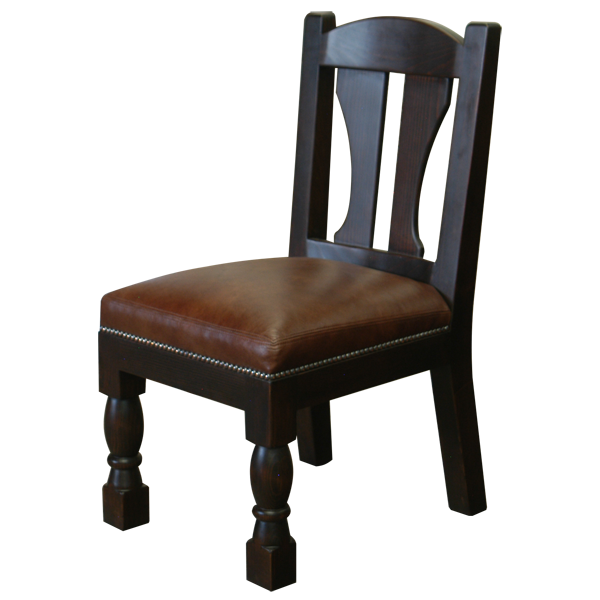 The padded seat is upholstered with rich, brown full grain leather, and the leather is precision hand tacked to all sides of the seat base with decorative nails. The chair rest on straight, hand turned, front legs, and slightly splayed, back legs. The front legs end in block style feet. Both beautiful and durable, the chair is made with the best, sustainable, solid wood available. It is 100% customizable.